Ryan T. Collier Photography LLC | Ryan, What DO You Do? Ryan, What DO You Do? Many times, I find it difficult to succinctly answer that question verbally. 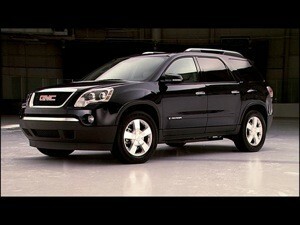 Instead, I thought the visual example below would best illustrate the answer. 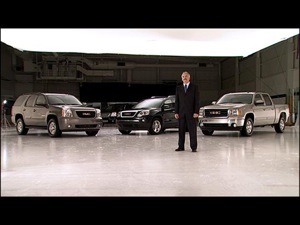 As an Avid|DS artist (or more generically, an editor), part of my job is to “sweeten” or improve the visual elements that make up a finished commercial. Many times this involves removing and/or adding items such as poles, skies, etc. while correcting the overall colour of the image to create a specific mood or feeling. The end-goal is always the same: Improve the product without making the effect look artificial. 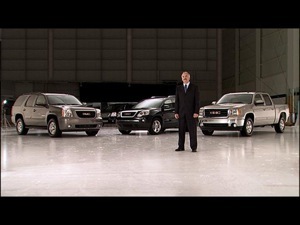 This is a scene from a GMC commercial that I worked on in 2006. Shot on-location in Denver, the talent is Colorado Avalanche coach Joel Quenneville. OriginalThis is the clean, untouched frame.The large, white box at the top is a 50-foot light, called a “silk,” suspended from the ceiling. Colour-CorrectedContrast has been increased in the shadow and mid-range areas.A slight, blue cast has been introduced to create a cold mood. Light RemovalThe large light and ventilation ducts have both been painted out.Far-right wall was been extended vertically. Finished CompositeShading has been added to de-emphasize the background and create contrast between the frame’s top and bottom. 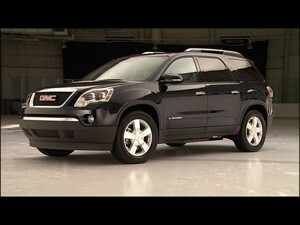 This next scene is a “beauty shot” of the GMC Acadia, also to be incorporated into the “Coach Q” spot. OriginalHere is the original frame as shot.Notice the “warmness” of the shot as well as the distracting background. Colour-CorrectedDialed-in some contrast in the shadows and highlights.Cooled the image down with a slight, blue colour-cast in the mid-range. Final CompositeShaded the background slightly so the product is emphasized and stands out from the background.